In Marshall McLuhan's "Global Village", niche markets can flourish. 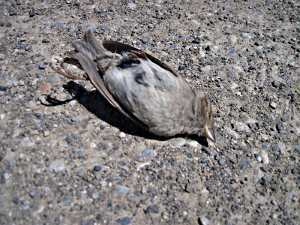 We are trying to corner the market on photos of dead animals in the streets of Downtown Pendroy. Are we there yet? Mr. McLuhan also said "Art is anything you can get away with."